If these activities have left you fascinated with the allure of Alaska, why not take a look at our superb selection of tours that take in all that Alaska has to offer. Wrangell-St Elias National Park is the largest park in the U.S and once you arrive you will be amazed and its beauty. Full to the brim with mountains, glaciers and rivers, this National Park will not disappoint. 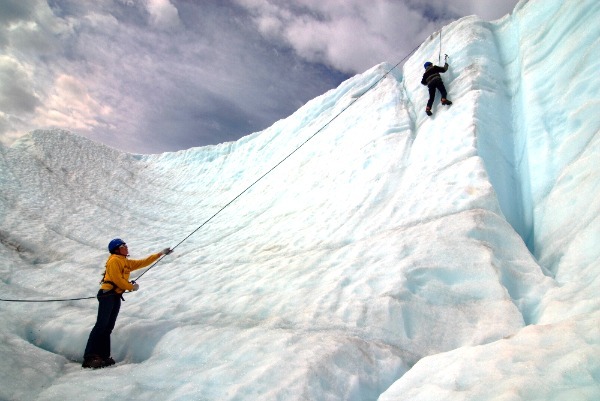 With so many accessible glaciers, ice climbing is a popular activity and one that is available as an optional activity on our Alaskan Adventure tour. Root Glacier offers people of all ages and skills the perfect setting for some Alaskan ice climbing. If ice climbing is really not your idea of fun, then there are plenty of opportunities to do some hiking in the surrounding area. It’s no surprise that in a national park as vast and as wild as Denali that there is an unprecedented amount of wildlife and beautiful scenery just waiting to be photographed. Anyone who visits Denali is encouraged to get off the beaten track and find their own path of trails. 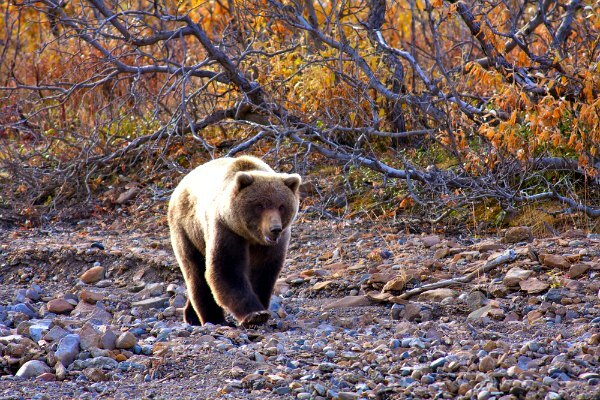 A visit to this national park will have you feeling like a true explorer, just make sure to be extra vigilant for grizzly bears and wolves who will be sharing the park with you. Our Alaskan Highlights tour allows you to spend three days in Denali as well as provide you with a two day bus pass, so you can really get to the heart of this wonder land. 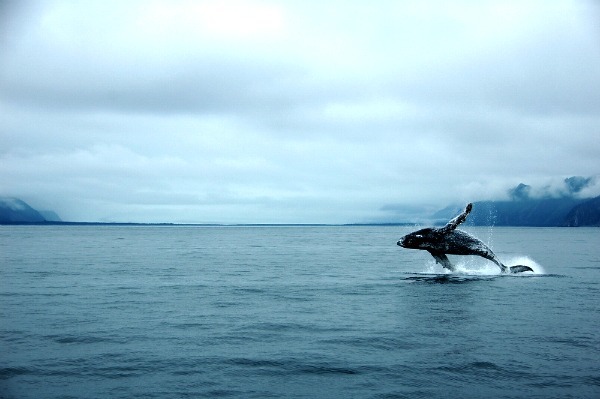 The Kenai Fjords National Park is home to an abundance of wildlife and incredible glaciers, which makes it the perfect place to jump aboard a cruise ship and see the wildlife up close. The resident pods of Orca’s and migrating whales are a common sight, so make sure your camera is never far from your reach. The steep mountain walls are inhabited by bald eagles and other seafaring birds, not forgetting the mountain goats that also make this unique place their home. You can’t visit Valdez and not take a sea kayaking trip through Prince William Sound. More than 220 species of birds, 30 species of land mammals, and at least a dozen marine mammal species are found in the region, so that is reason enough to take to the water and see this beautiful place from the comfort of your kayak – a truly unique experience. The majority of our tours including our Alaska, Wildlife & Wilderness tour go to this wonderful area. 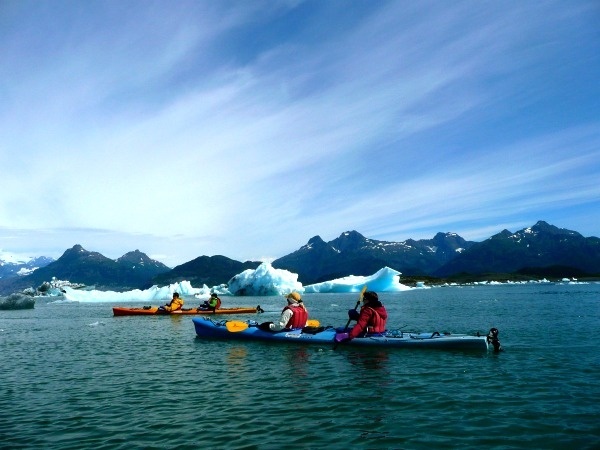 If Kayaking really isn’t your idea of fun, there are plenty of land based activities that you can get involved with, such as hiking along the miles of trails in and around Valdez. Mount McKinley is the highest mountain peak in North America and its two summits tower over the incredible Denali National Park. One of the last wilderness areas left untouched; with mile high granite gorges, beautiful blue glaciers and endless icy peaks, what better way to experience it, than from above? 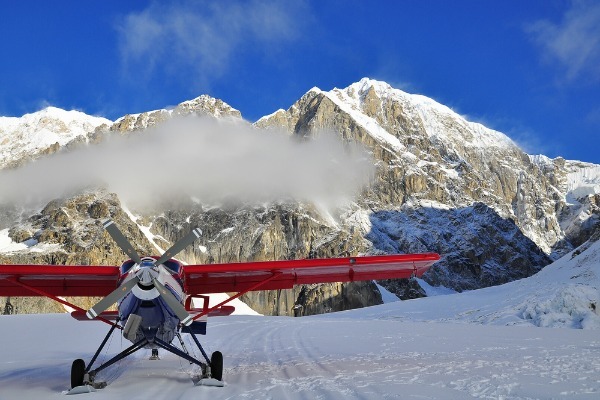 End your scenic flight, by experiencing the unique sights and sounds of the glacier, and actually land on the glacier itself. The glacier landing on Mt. McKinley is often described as being the highlight of Alaska.